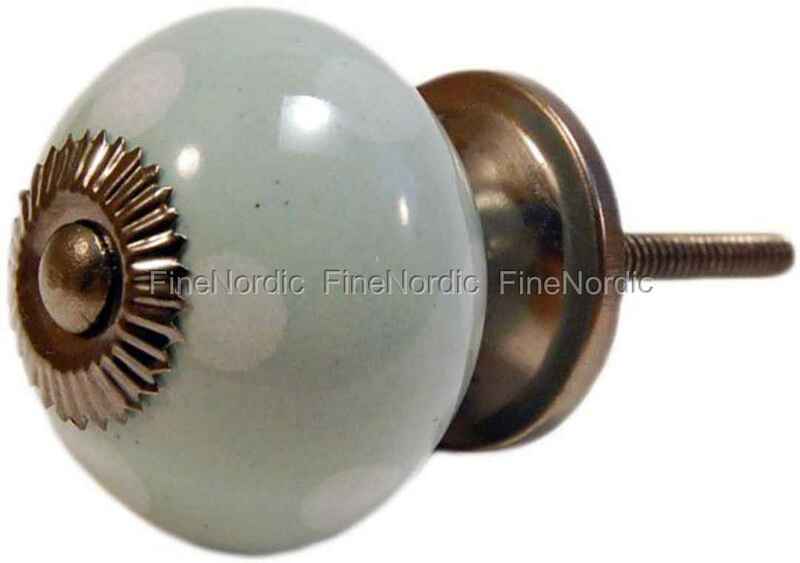 This green with white dots porcelain knob from La Finesse will look great on a white armoire or cupboard. Just attach it to a door or drawer by screwing it on and it adds a little uniqueness to the piece of furniture. The knob has a diameter of 4 cm and after it’s been attached, it is easy to open and close a door or drawer with it. Its nostalgic look will complement an old piece of furniture and add an interesting contrast to a modern one. If you are planning on doing other DIY projects and are in need of more knobs, then please have a look at the large variety of knobs we offer in our web shop. We have them available in different sizes, single-colored or multi-colored and also with different patterns. We are sure that the perfect one for you is also among them.